Unless you’re working in the field, you probably never heard about U.S. nanoweapons. This is intentional. The United States, as well as Russia and China, are spending billions of dollars per year developing nanoweapons, but all development is secret. Even after Pravda.ru’s June 6, 2016 headline, “US nano weapon killed Venezuela’s Hugo Chavez, scientists say,” the U.S. offered no response. Earlier this year, May 5, 2017, North Korea claimed the CIA plotted to kill Kim Jong Un using a radioactive nano poison, similar to the nanoweapon Venezuelan scientists claim the U.S. used to assassinate former Venezuelan President Hugo Chavez. All major media covered North Korea’s claim. These accusations are substantial, but are they true? Let’s address this question. Unfortunately, until earlier this year, nanoweapons gleaned little media attention. 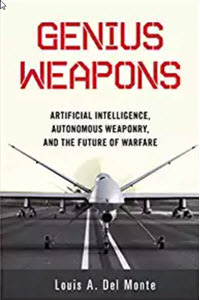 However, in March 2017 that changed with the publication of my book, Nanoweapons: A Growing Threat to Humanity (2017 Potomac Books), which inspired two articles. 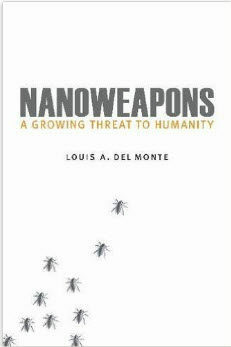 On March 9, 2017, American Security Today published “Nanoweapons: A Growing Threat to Humanity – Louis A. Del Monte,” and on March 17, 2017, CNBC published “Mini-nukes and mosquito-like robot weapons being primed for future warfare.” Suddenly, the genie was out of the bottle. The CNBC article became the most popular on their website for two days following its publication and garnered 6.5K shares. Still compared to other classes of military weapons, nanoweapons remain obscure. Factually, most people never even heard the term. If you find this surprising, recall most people never heard of stealth aircraft until their highly publicized use during the first Iraq war in 1990. Today, almost everyone that reads the news knows about stealth aircraft. This may become the case with nanoweapons, but for now, it remains obscure to the public. Given their relative obscurity, we’ll start by defining nanoweapons. A nanoweapon is any military weapon that exploits the power of nanotechnology. This, of course, begs another question: What is nanotechnology? According to the United States National Nanotechnology Initiative’s website, nano.gov, “Nanotechnology is science, engineering, and technology conducted at the nanoscale, which is about 1 to 100 nanometers.” To put this in simple terms, the diameter of a typical human hair equals 100,000 nanometers. This means nanotechnology is invisible to the naked eye or even under an optical microscope. Toxic nanoparticles – These are toxic particles a nanoscale diameter, which means their surface area to volume ratio is enormous. What makes them extremely effective as a poison is that they are able to cross biological membranes that their bulk counterparts are unable to cross. Therefore, they can be readily absorbed. They are more toxic than their due to the large surface area to volume ratio, which allows them to be extremely chemically reactive. Insect-size Drones – The U.S. has been spending billions of dollars on miniaturizing drones. Two articles report military progress in this nanoweapons area. In 2014, the DailyMail.com published “Is the US Army’s next secret weapon a ROBO-FLY SPY? Researchers unveil tiny insect drone that can accompany soldiers into battle and enter enemy HQs undetected.” On August 11, 2016, the DailyMail.com published a follow-up article, Now you can be bugged anywhere: Military unveils insect-sized spy drone with dragonfly-like wings.” If you are reading about military insect-size drones, typically termed “nanobots” in the media, it is likely old news. The U.S. military keeps its advanced military weapons secret. It is likely the U.S. has nanobots, with surveillance and offensive capabilities. Nanoelectronic Weapon Systems – Nanoelectronics are integrated circuits with features in the nanoscale. Intel is shipping nanoelectronic microprocessors for use in commercial computer applications. Because of their nanoscale features, they are smaller, faster, and use less power to operate. This makes them ideal for military weapon systems, like guided missiles. Nano-Enhanced Explosives – The U.S. has been using nanoaluminum as a catalyst to boost conventional explosives by a factor of ten. This is how they are able to get the 8-ton payload of the GBU-43/B Massive Ordnance Air Blast Bomb (MOAB) to deliver an 11 TNT ton destructive explosion. The U.S. has a formidable nanoweapons arsenal. 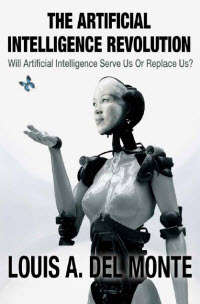 Even as they use them covertly and in open conflict, it may not be apparent that the technology that underpins the weapons is nanotechnology, thus making them by definition nanoweapons. When will that change? It will change when something big happens. Imagine billions of toxic nanoparticles released on an adversary’s army, causing death and chaos. This would significantly reduce the adversary’s military effectiveness. In all likelihood, it may take weeks or months for the adversary to determine the cause. Imagine millions of nanobots attacking an adversary’s army, again causing death and chaos. In effect, killer insect-like nanobots would be a technological plague. Ironically, the next big thing in military weapons is small. Barely mentioned in the media, nanoweapons are as effective and lethal as their larger more visible counterparts. In time, a nation’s military might will be a measure of its nanoweapons capabilities, as well as it nuclear and more conventional capabilities. In fact, by the second half of this century, nanoweapon capabilities are likely to determine the superpowers.